MyLiferaft was founded by Nicola Murgatroyd who recognised the need to have a system that could contain all the information in one central place when caring for a child or loved one. From the frustrations of repeating information to different healthcare professionals, monitoring medication and keeping appointment dates clear. MyLiferaft has been created to help manage all the information related to caring for a loved one, with a disability or long term condition, in one online, easily accessible and secure place. Mick has been involved in running and developing businesses internationally for more than 35 years. Originally a marine scientist, Mick has a wealth of experience operating at Board level and now fills several non-executive positions with a wide range of commercial companies and voluntary organisations. He is also an angel investor. “I really believe that MyLiferaft will change for the better the lives of those living with long term conditions, as well as significantly assisting those that care for them. I aim to bring my day-to-day operational experience, combined with a strategic approach, to ensure MyLiferafts’ every success.” Mick is currently involved with another company in the ‘on-line technology’ space and hopes to bring the learnings from that business to MyLiferaft. Matthew has run an IT company since 1997 and has guided many companies in IT transitions over the years. His wealth of knowledge in network support, cloud storage, disaster recovery and internet services has ensured that he has been able to supply a full range of solutions to blue-chip companies in manufacturing, pharmaceuticals, recruitment, property and legal. He has more recently been working with several companies on the use of ‘assisted technology’. Matthew can see the value of the ‘About Me’ solution that MyLiferaft can offer people that will ensure the individual’s care circle is provided with accessible and shareable information 24/7 on any device. Shelley is clinically qualified and has spent her career working in healthcare for both the NHS and the private sector, and is now supporting the development of MyLiferaft. Having first-hand experience in caring for a relative, Shelley sees the value of MyLiferaft in using it to organise and plan care, family time and a social life. 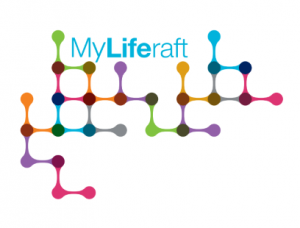 “I love the fact that MyLiferaft is online and accessible from my phone, computer or tablet. It makes keeping up-to-date simple and I know I always have the information I need with me and not left at home in a file”. Ian specialises in the NHS health and care provider sector where he has redesigned systems to work for the public in an integrated way. Ian’s initial attraction to MyLiferaft was in the observation of his aging parents, particularly his mother who has multiple long-term conditions and “doesn’t like to bother the Doctor!” As his mother lives 180 miles away, Ian believes that MyLiferaft is unique in allowing him to monitor and contribute to his mothers well-being at a distance. Jane has worked as a Project Manager in a number of high profile companies over the years and finds being involved in something that she can directly relate to very exciting. She is a busy working parent and has everyday experience of trying to manage different diaries – home, work, and school – as well as medical appointments for doctors, dentists, and remembering to order repeat prescriptions. Working on MyLiferaft has enabled her to share this experience with the team and to help include elements that every busy parent will find useful. If you would like to get in contact with one of the MyLiferaft team, please send us an email at info@myliferaft.com or call us on 03302 231192. You can also send us an email via our website.